The pastry is just a simple short-crust, and the filling has a few staples, but there is room for experimentation (in other words – what you have on hand). 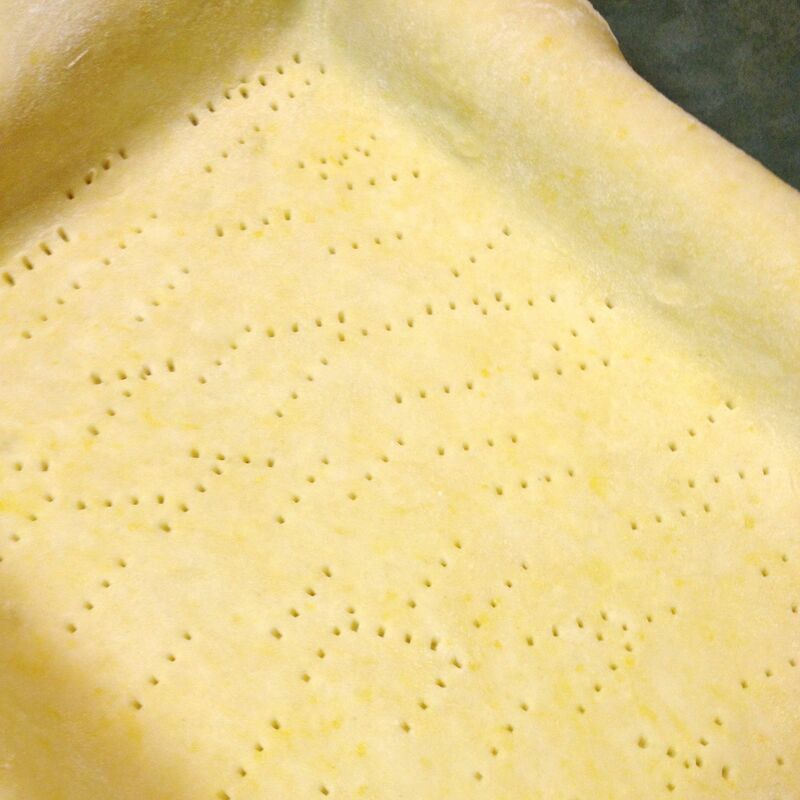 Make the pastry ahead of time, so it can rest in the fridge for a few hours, or overnight. 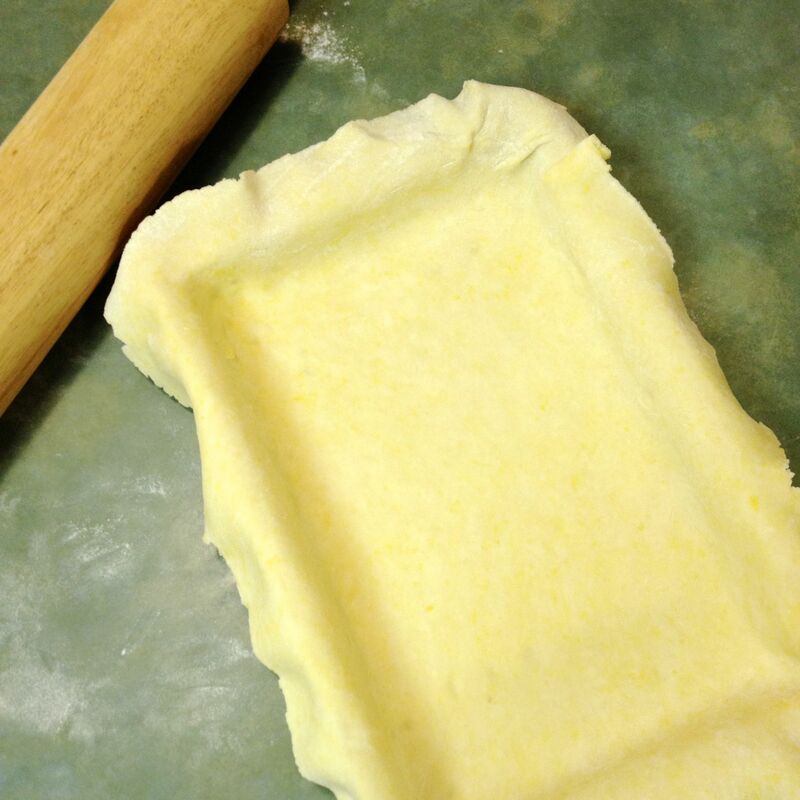 1½ recipe of Basic Short-Crust Pastry – using 2¼ c flour, 5¼ oz/150 gr of butter, 1 large egg, & 3-4 T milk or light cream – form into 2 discs, cover & chill. Make the pastry as directed, chill & reserve covered in plastic wrap. Wash the spinach, spinning off most of the water. 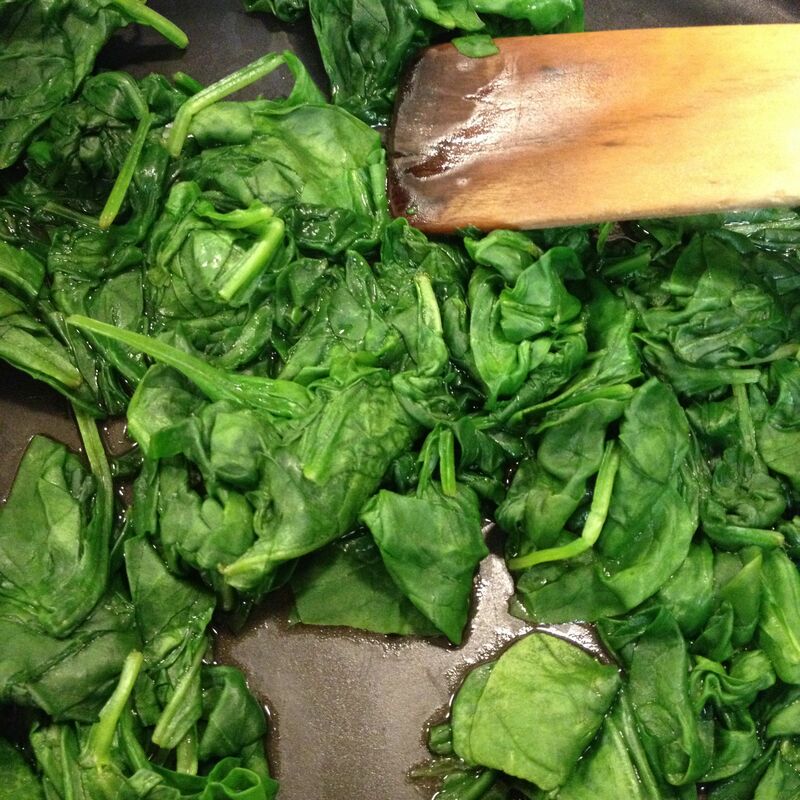 In a deep skillet, without adding any extra water, cook the spinach over medium heat until just wilted. Remove the spinach from the pan, and let cool. 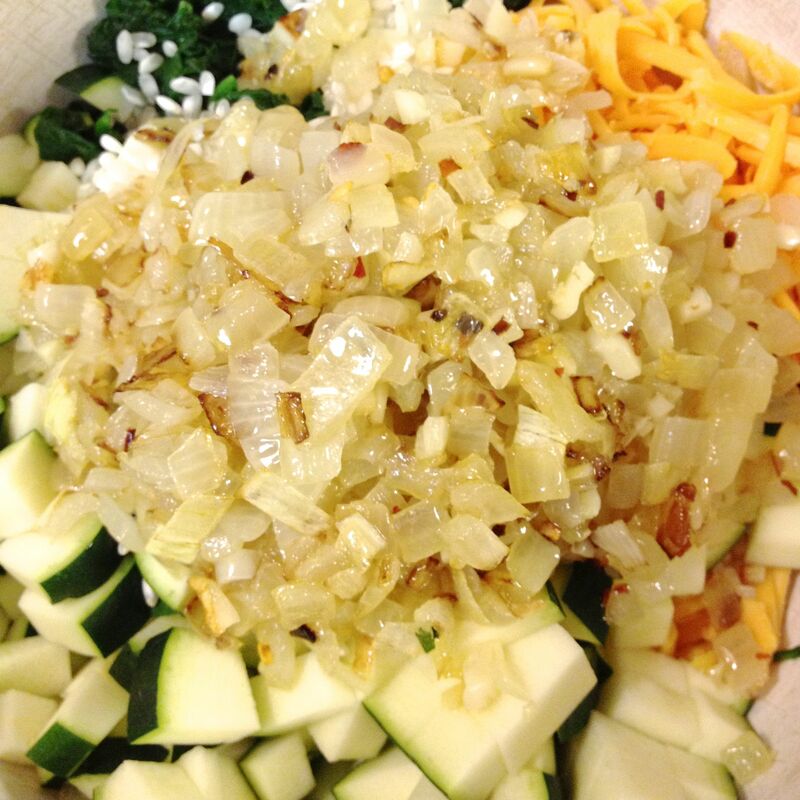 While the spinach cools, dice up the onion, and mince the garlic. Wipe dry the pan you cooked the spinach in. Add in the 2 T of oil, and heat on medium. 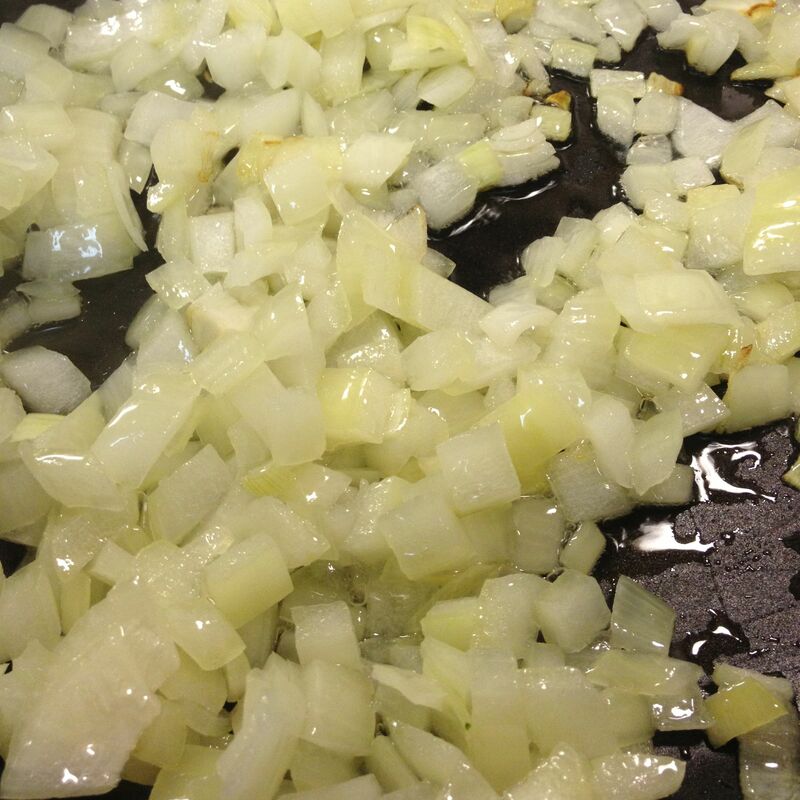 Add in the onion, and cook gently for 5 minutes or so, until soft & transparent. 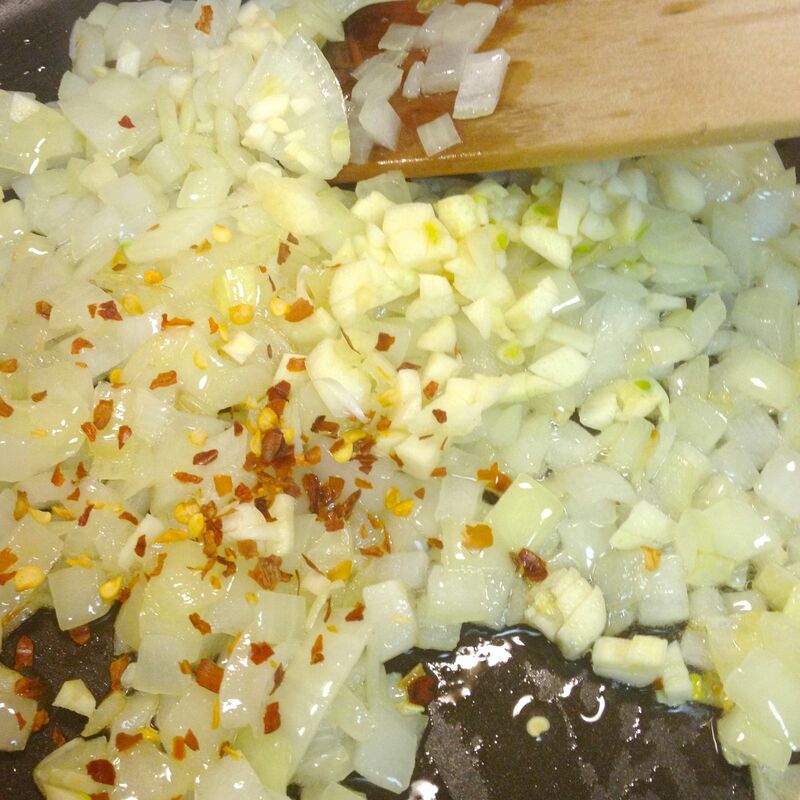 Add in the garlic & chilies; continue cooking for another minute or two. 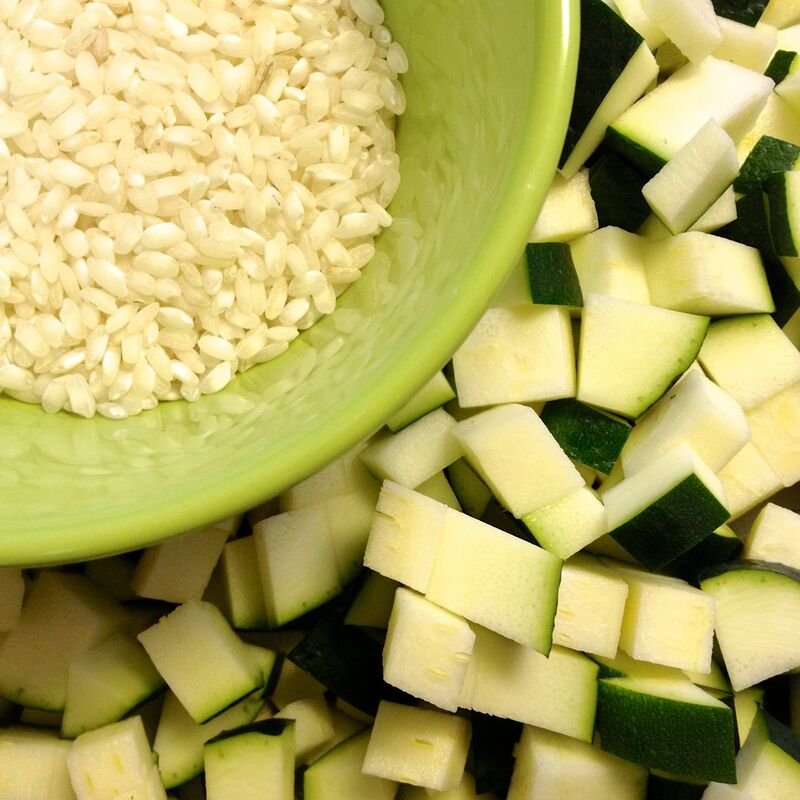 Trim the zucchini, and chop into ½” size pieces. Squeeze the cooled spinach as dry as possible, and chop. 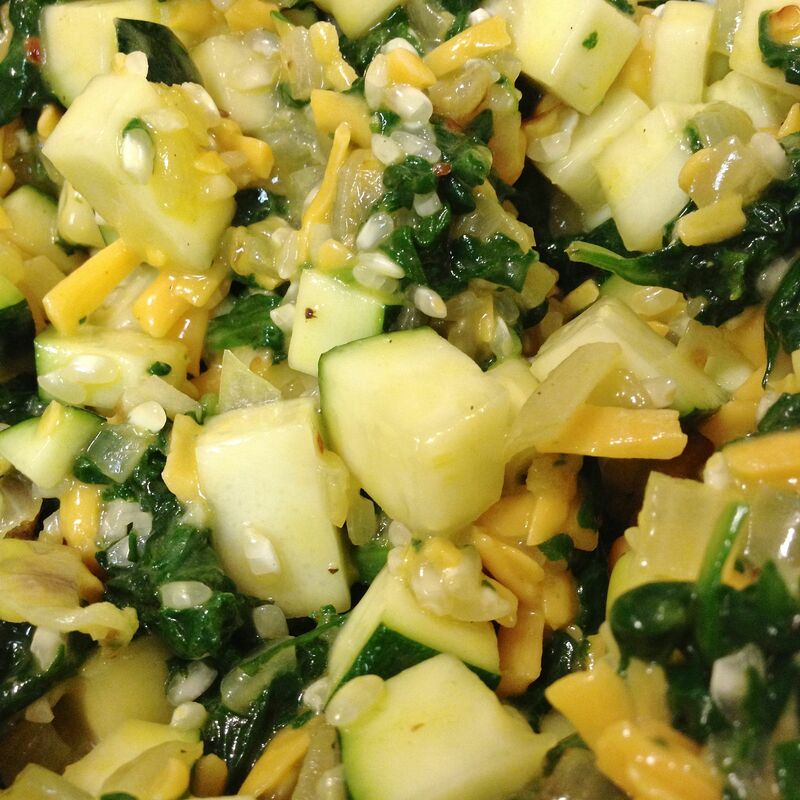 Into a large bowl, add the chopped spinach, zucchini, cheddar, rice, salt, pepper, and cooled onion mixture. 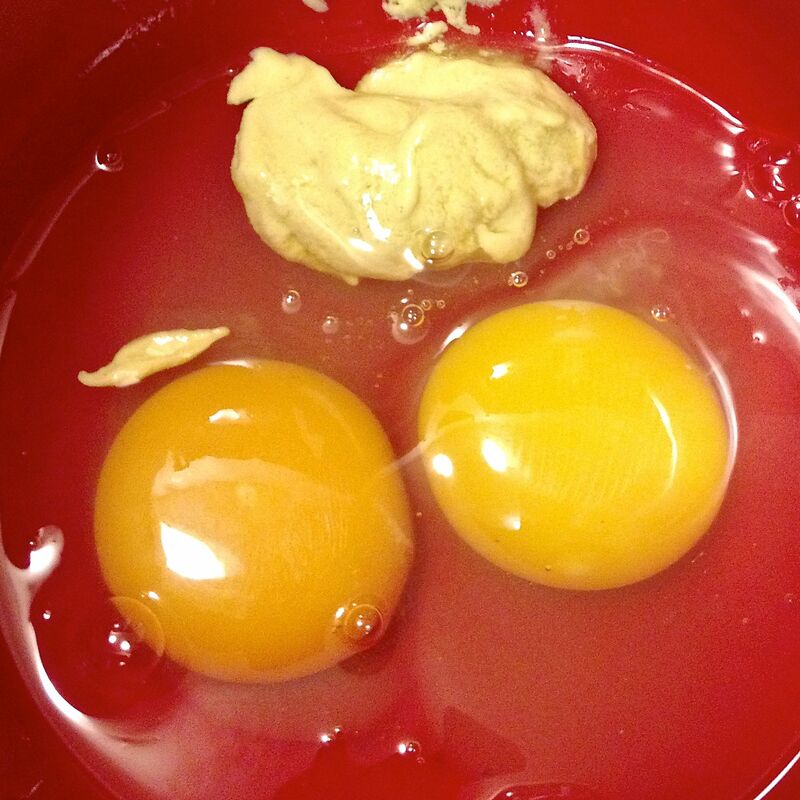 Whisk together the 2 eggs and the mustard. 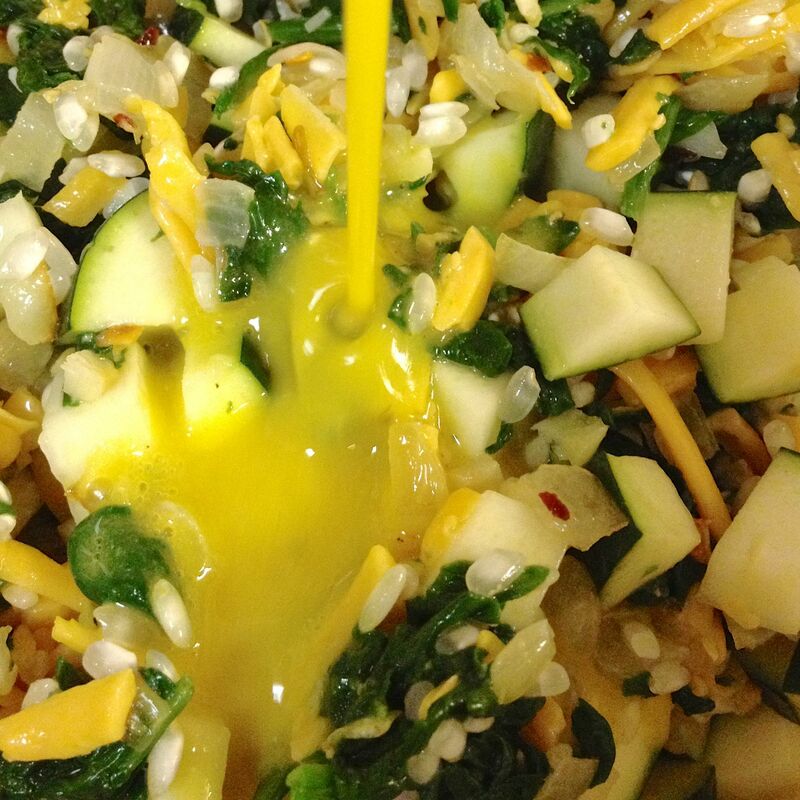 Pour onto the spinach and zucchini mixture. Stir well, and let it sit while you prepare the crust. 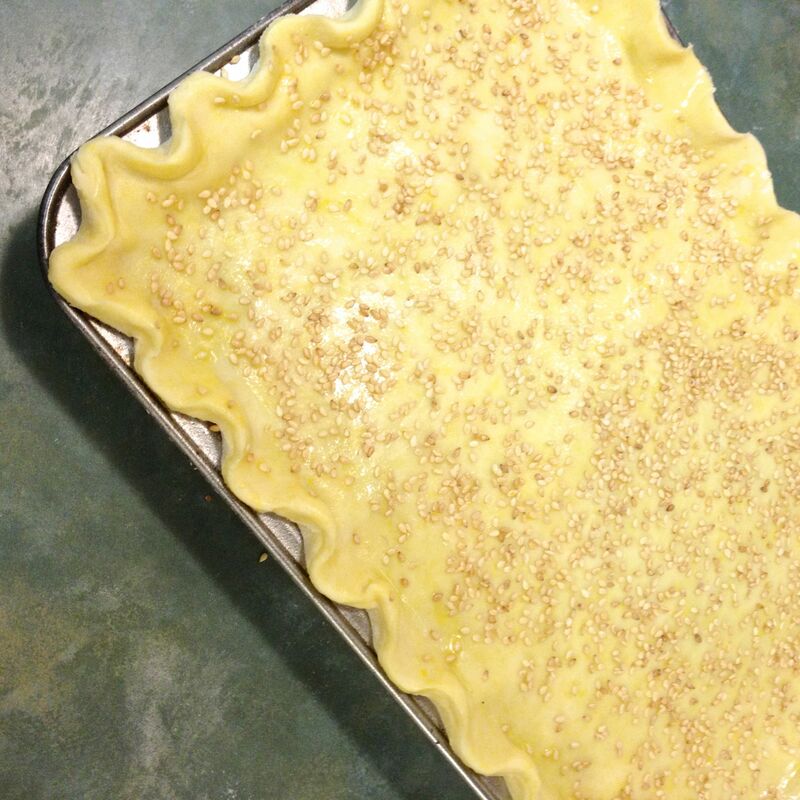 Place a baking sheet that is large enough to hold the prepared pie, into the oven to preheat. 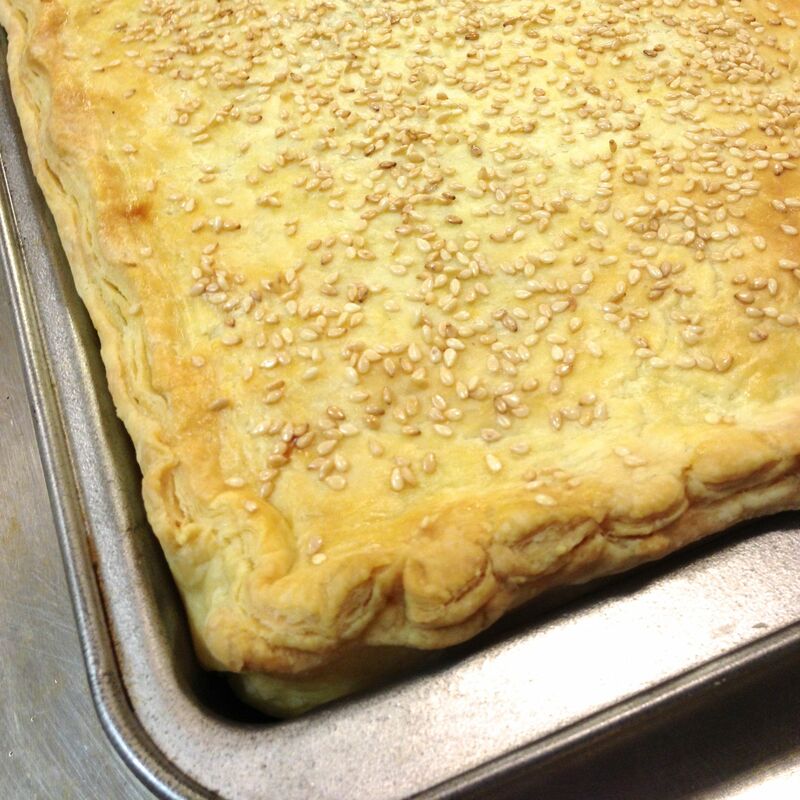 Using one disc of dough, roll it out on a lightly floured surface, big enough to easily cover the pan, with overhang. Lay it into the pan with an even amount of overhang all round. Prick the bottom of the crust with a fork, all over, to keep the crust from becoming soggy. Roll out the second disc about the same size. 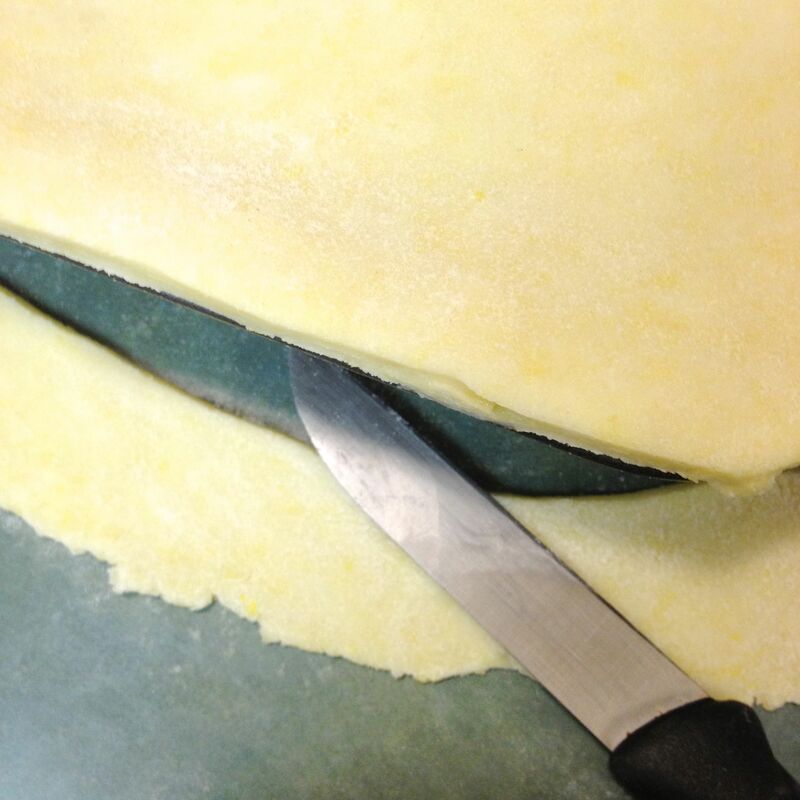 Spoon the filling into the bottom crust, using a spatula to even it out and smooth it to the edges. 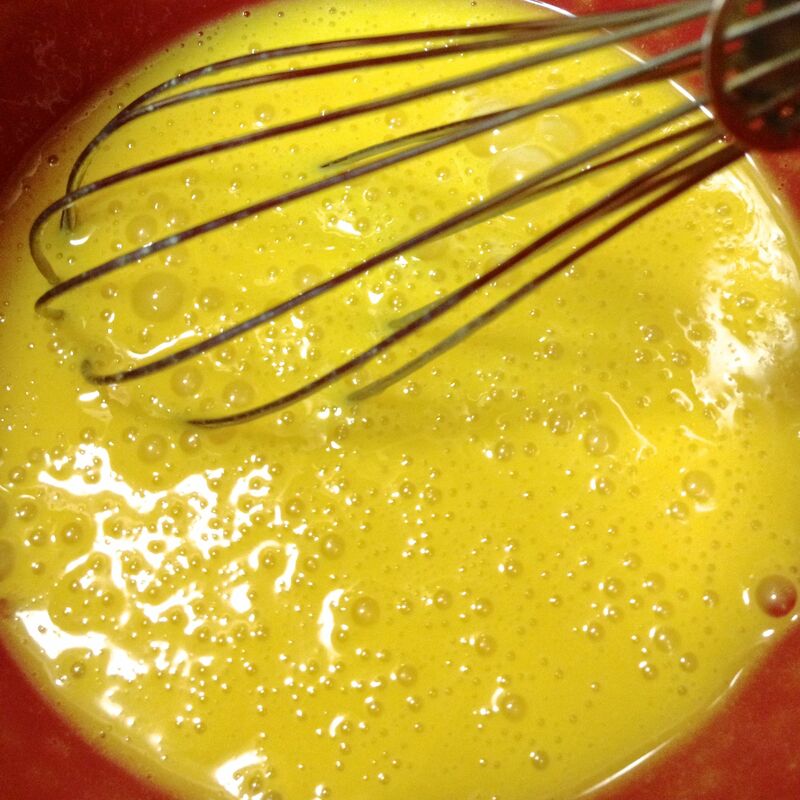 Whisk together the remaining egg & 2 tablespoons of milk, to make a pastry wash.
Brush the wash all along the edge of the bottom crust where it will meet with the top crust. 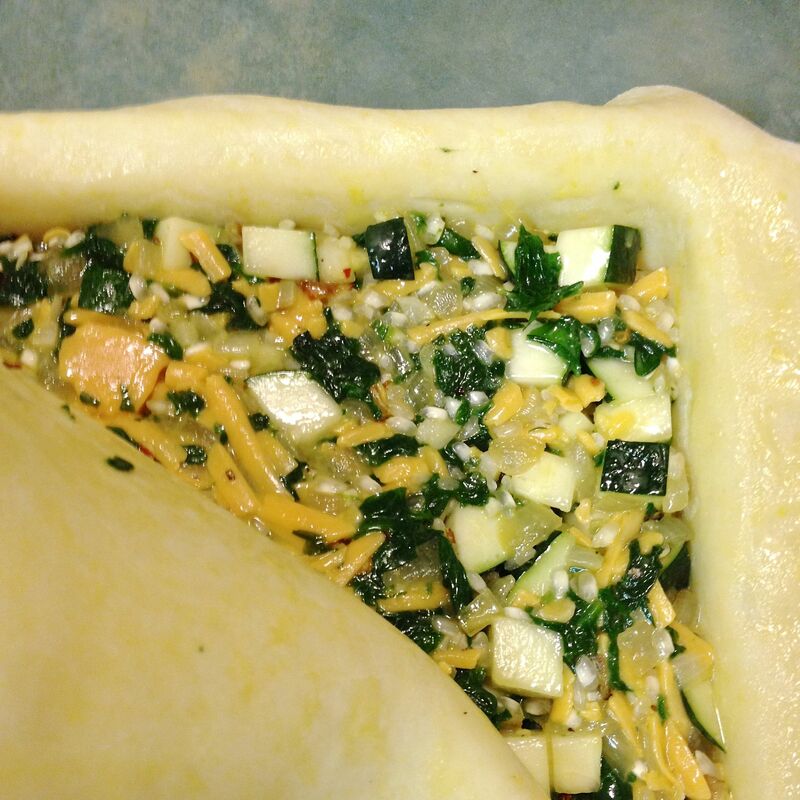 Lay the top crust over the filling. Gently press the two crusts together. Trim along the edge of the pan. 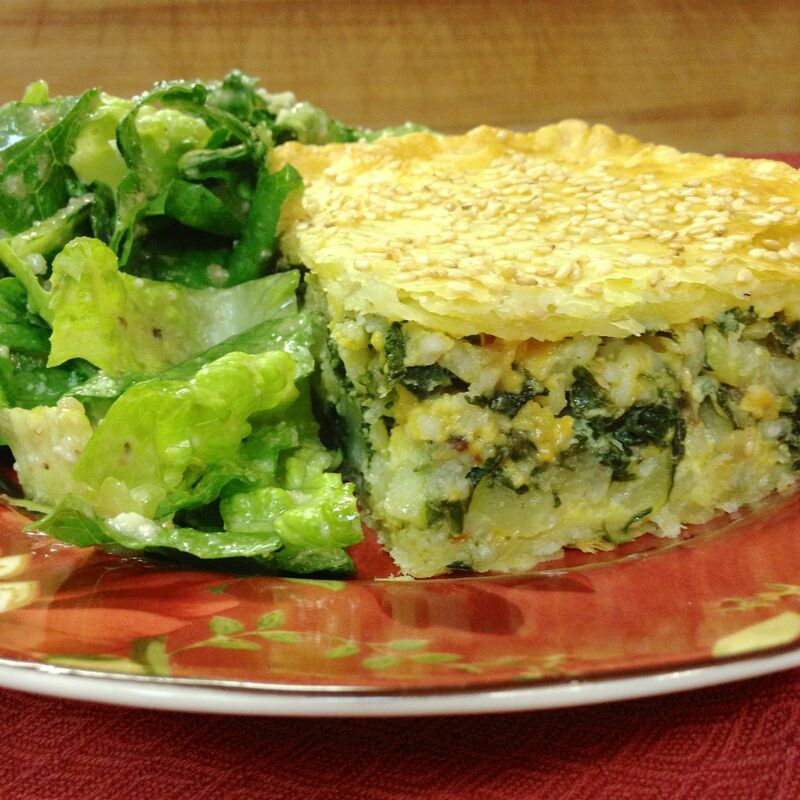 Brush the egg wash over the whole top of the pie (you won’t need it all). 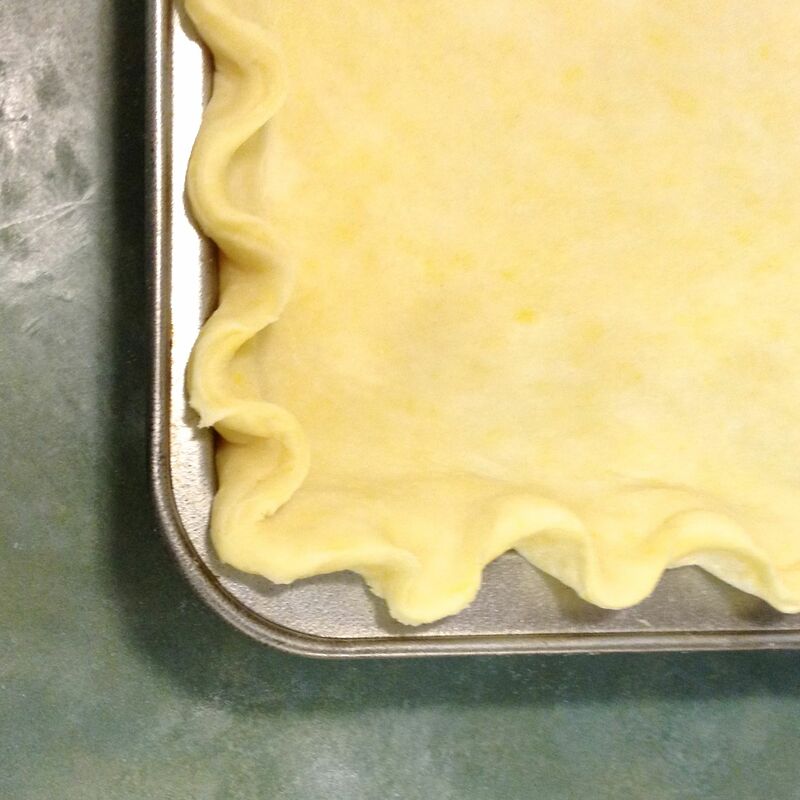 Place the pie directly onto the preheated baking sheet. Reduce the heat to 325°, and continue cooking the pie for another 40 minutes. Remove from the oven and let rest 10 minutes before slicing and serving. To switch it up, I would suggest replacing the zucchini amount with another vegetable, such as mushrooms, broccoli, or eggplant. 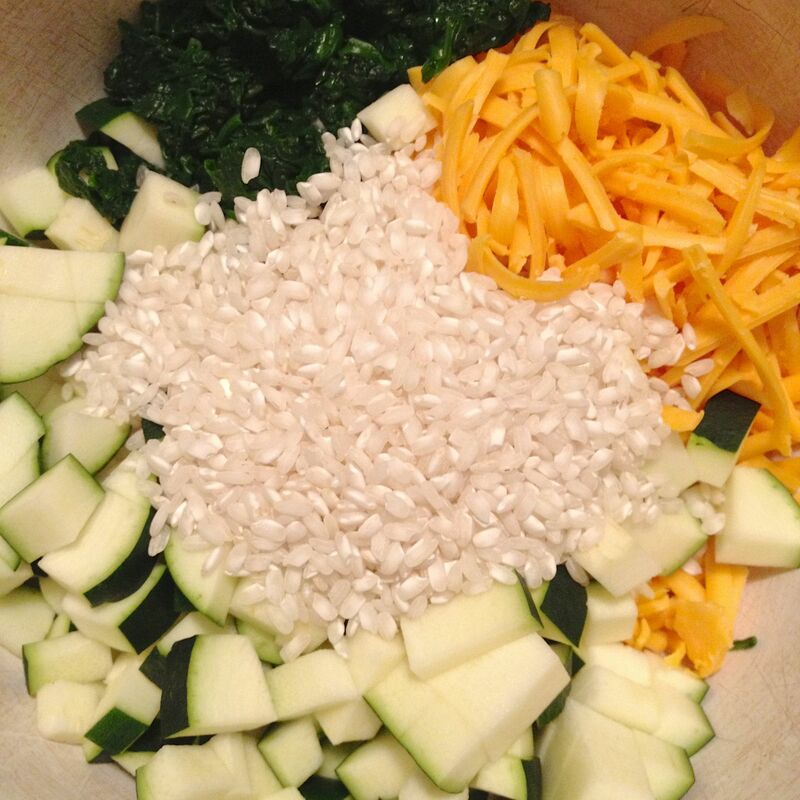 The moisture content is essential to cooking the rice. 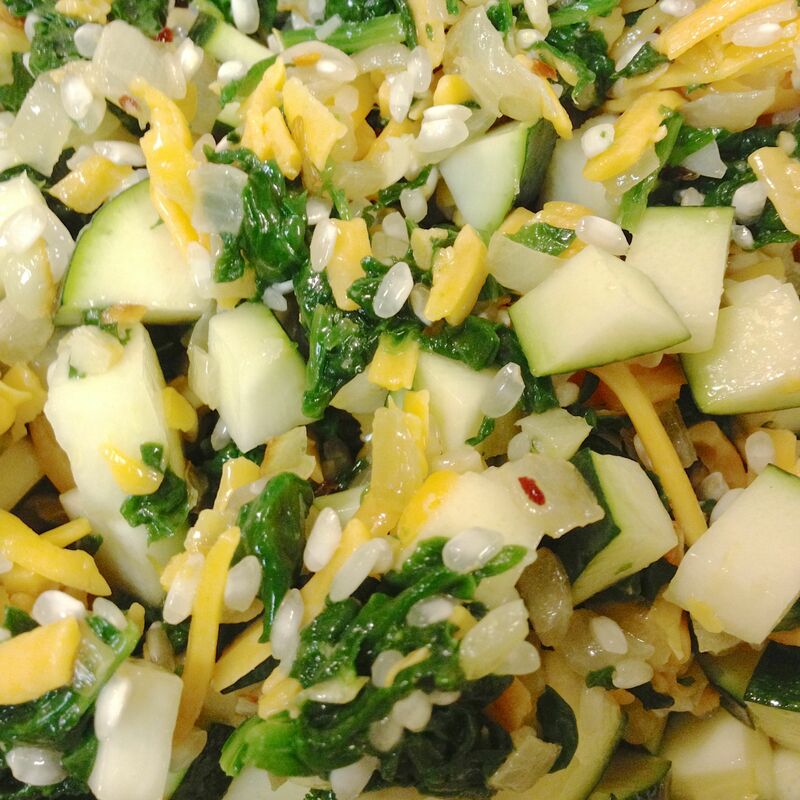 Perhaps add some chopped sundried tomatoes, grilled red peppers, or chopped olives to add a different flavour.